Introduction A 63-year-old, right-handed woman with a history of hypertension presented to the ED with left arm paresis of 2 days duration. Three weeks before admission, she had flu-like symptoms with intermittent left arm weakness that had recovered briefly but recurred 2 days prior to her presentation. On neurological examination, GCS was 15 and cranial nerves’ function was normal. Left upper limb strength was 4/5. There was left arm drift and pronation but the patient denied noticing any difference between the positions of her arms. Hyper-reflexion was presented in the left arm. The rest of her motor, cerebellar, sensation and gait functions were normal. 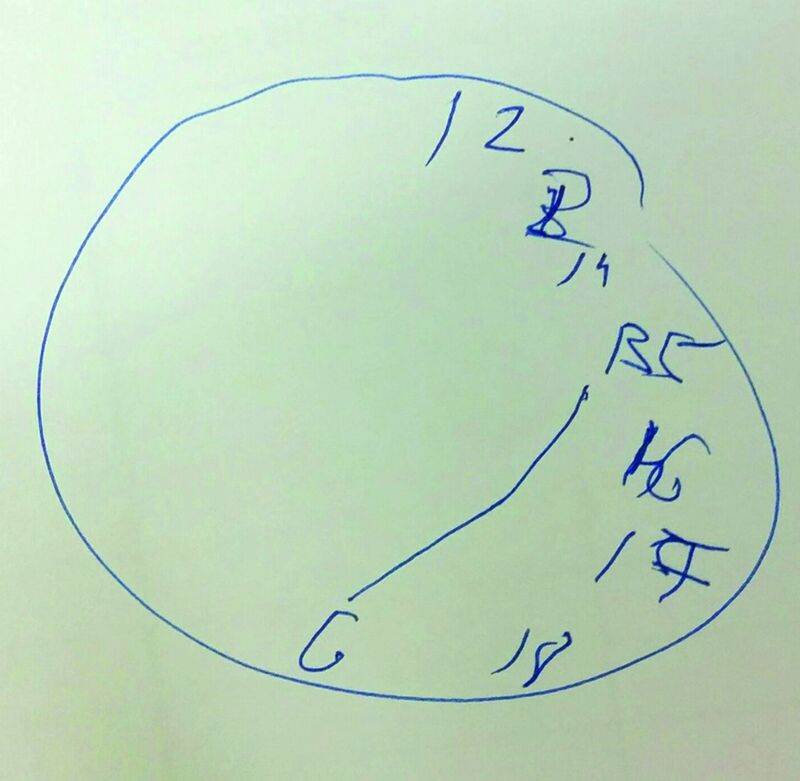 She was asked to draw a clock and set it to 15:30 (figure 1). Question: What is the most probable aetiology? Contributors The case of this image challenge was written by the authors, and the diagnosis was also made by them.